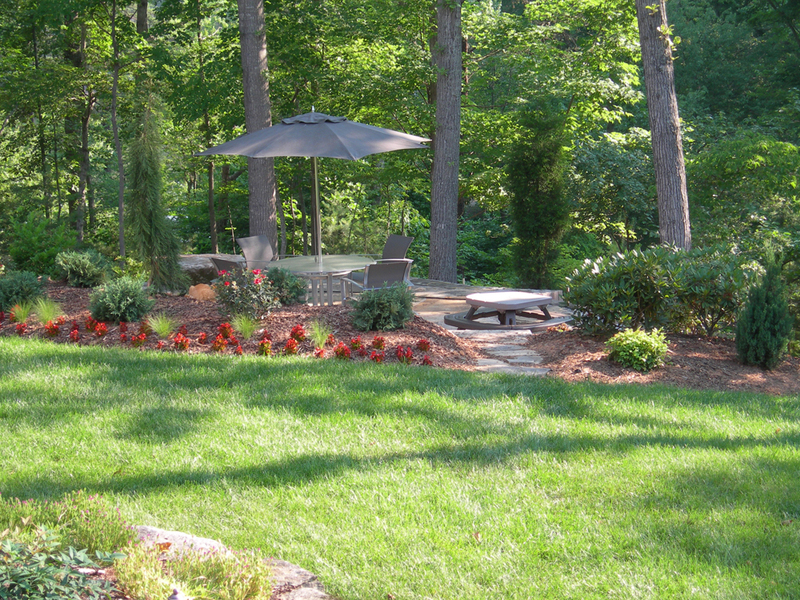 A complete backyard make-over. 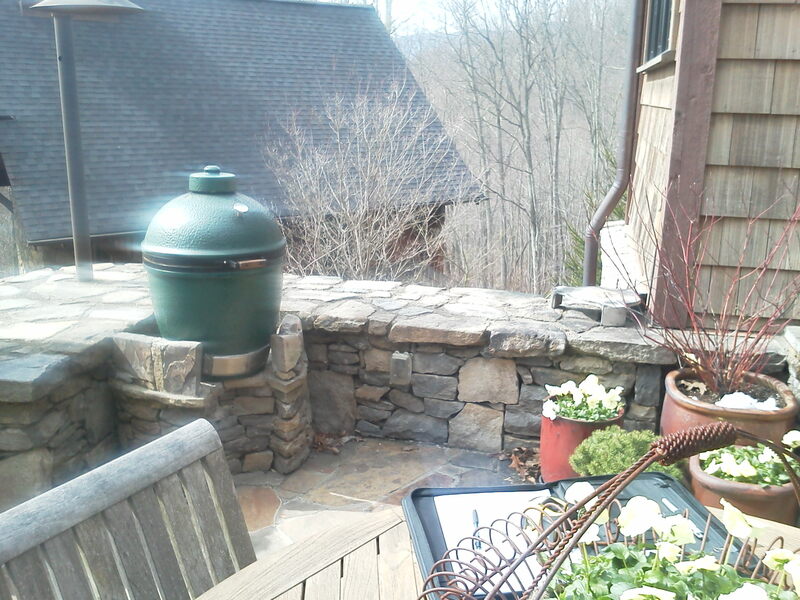 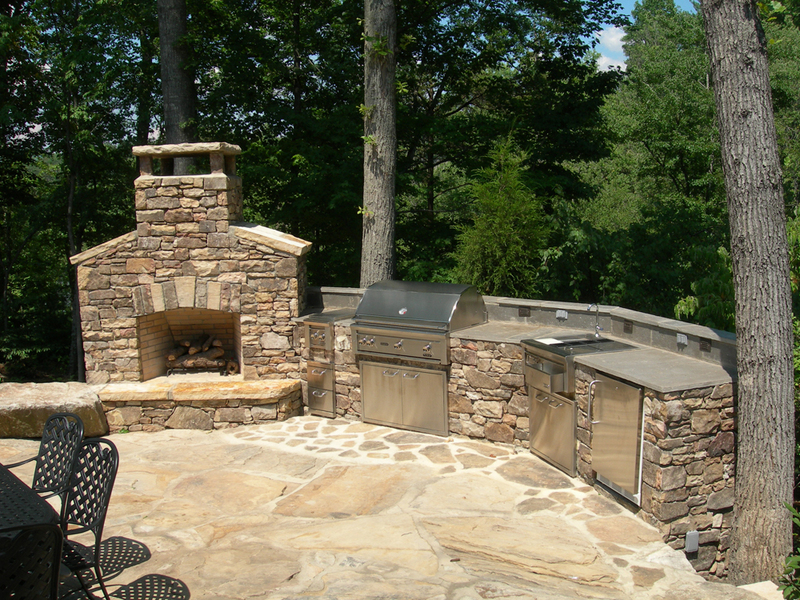 The grass was replaced with a useful outdoor fireplace and grilling station for enjoying the gorgeous mountain days and evenings. 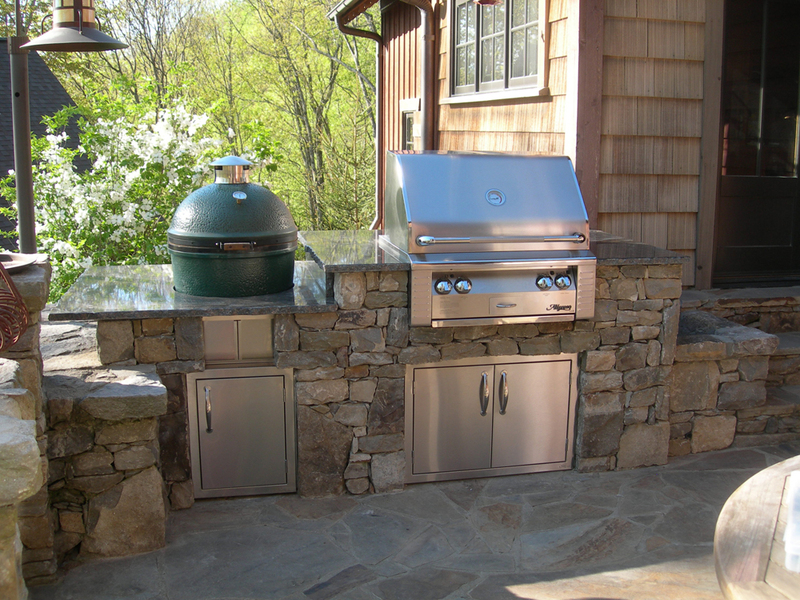 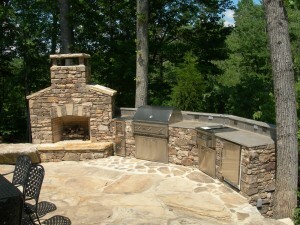 The stonework was modified to add a stainless steel grill and clean up the look of the outdoor patio area. A beautiful counter top was added and access doors.